Parkinson’s disease (PD) remarks its pathology by affecting the patient’s movements and postural instability by dopaminergic loss in the substantia nigra of midbrain. The disease is characterized by the accumulation of alpha-synuclein protein followed by dementia symptoms. Moreover, the pathology enhances the production of monoamine oxidases A and B (MAO A and B), leucine-rich repeat kinase 2 (LRRK2), phosphate and tensin homolog (PTEN), PTEN-induced putative kinase 1 (PINK1), and PARK7 (deglycase 1 (DJ-1)). Hinokitiol (HIN), a tropolone-related compound, has widely been reported as an antioxidant, antineuralgic as well as a neuroprotective agent. 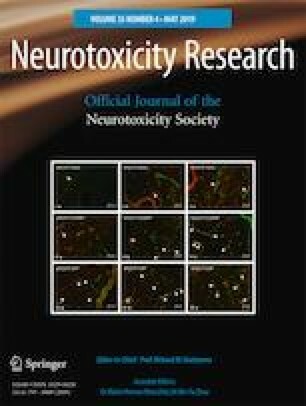 Hence, in this study, we have examined the effect of hinokitol to act as a neuroprotective agent against 6-OHDA-induced toxicity in SH-SY5Y neuroblastoma cells through downregulation of the mRNA expression of PD pathological proteins like alpha-synuclein, MAO A and B, LRRK2, PTEN, PINK1, and PARK7 (deglycase 1 (DJ-1)). The study revealed that the 6-OHDA-induced elevation in the mRNA expression of the pathology marker proteins was subsequently downregulated by the treatment with HIN and was referenced with the positive control, amantadine (AMA), widely used nowadays as a treatment drug for PD symptoms. Thus, the study suggests that hinokitiol could be a drug of choice against 6-OHDA-induced neurotoxicity in SH-SY5Y neuroblastoma cells. The authors wish to acknowledge Mr. Rajesh Ramachandran, Mr. Sumesh Soman, and Miss. Neenu GP, Biogenix Research Centre, Centre for Molecular Biology and Applied Science, Trivandrum, Kerala, for assisting us to carry out the cellular works. We would like to acknowledge Dr. A.K. Munirajan, Professor, Department of Genetics, Dr. A.L.M. Post Graduate Institute of Basic Medical Sciences, University of Madras, Taramani Campus, Chennai, to carry out real-time PCR works in Multidisciplinary Research Unit (MRU) of this institution.